Planning a trip to Disneyland for the first time can be overwhelming. This trip can determine if you are willing to pay so much money to come back again and again, or perhaps this is a once in a life time trip and you want to get the most out of it. Either way, we are here to answer most of the questions you may have or even questions you may not of thought to ask about. If after reading this, you still have some questions, feel free to join our Facebook group (the join button for the group is below this paragraph and the left side, that is if you haven't already joined it, or click here. ), or you may shoot me an email, please note that emails asking questions can take awhile to answer. Before we get into the most commonly asked questions I would like to first help you to see if you have a realistic budget for your vacation, by giving you a few numbers to consider, on average its about $100 per person per day just to enter Disneyland Parks. (please note this is on average, if you are only going for 1 or 2 days it is more and if you are going for 4 or 5 days it is less, children's tickets are about $10 cheaper than adults). Hotel stays at budget friendly places average is about $150 a night (yes you can get cheaper, and yes more, especially if you are staying on Friday or Saturday night or if you are going during premium times), staying on Disney property is average of $350 a night at their cheapest place. Food inside the parks, you are looking at about $5 per snacks, $10-$15 per quick service place to eat, and $25-$50 for sit down places. (Some sit down places actually be a lot more, for example the new Princess dining experience is $125 per person, adult or child and that does NOT include tax or tip). So, please consider a reasonable budget before planning anything else. 3. If you are planning on visiting for more than a day, you need to know where to stay? 7. 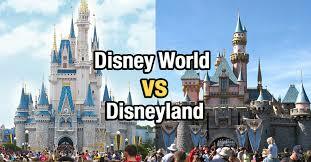 I am an expert about Walt Disney World but have never been to Disneyland, what is the difference? The next major consideration after budget is usually when to go. Of course, due to work schedules, or if your children are in school their vacation schedules may limit when you choice to visit. But if they are not a consideration, then when is the best time for your family to come and visit? Notice I said your family, because what is best for your family may not be fore another. There are several factors each family must personally consider and determine if they matter to them or not. Usually mostly people will say they want to go when the crowds are the lowest, but this may not be the best time for your family to go. Why? There are several drawbacks to going during this time, and those drawbacks may be enough to discourage you from going during this time. The drawbacks are simple. Disney is aware of when the parks will see less people in them, so they plan ride and attraction maintenance, they also limit their park hours and entertainment. (Except for Summer time, Winter Break and Spring Break, Disney only does Fireworks weather permitting on Friday, Saturday and Sunday night, that is if they have not decided to also put them on the maintenance schedule, same thing with Fantasmic!) With the limited hours and limited attractions available, the park often time does not seem less crowded, that is why most people lament there is no slow times at Disney. The positive things about the slow times, is that more often than not Disney will offer some discounts on their hotel stays, even some good neighborhood hotels offer the same. So if you are on a tight budget, the lower crowd times may be when you want to schedule, on the other hand if this is a once in a life time trip, you might consider saving a bit more and going during a time where more attractions will be scheduled to be open. If you would like to see how busy the parks might be when you schedule your vacation, you can check out our crowd calendar. This calendar predicts what the crowds will be like based on what they were like on a similar day in the past. We have been tracking the crowds since 2011, and averaged them out. Busiest, crazy crowded, might shut down because of crowds is the week before Christmas until the Friday after New Year. This is considered premium times when packages are booked early, and prices are usually at the highest. There are also lots to see and do at the park, usually almost ever ride is open, there are nightly shows, sometimes even two night time shows. But there is also a chance of the park shutting down due to too many people in the park. Though since Disney has denied all but the HIGHEST annual pass-holders from visiting at this time, the parks have not had to close due to reaching their max peek. But they have come close. Thanksgiving week is considered busy, mostly Thru-Sun but it does have some major crowds. From Memorial Day to Mid-August it is consider summer time at Disneyland Parks, which means longer operational hours, nightly firework shows, even more shows and they try to have most of their rides open. From July to September, it is FULL summer weather in So Cal where our tempters can reach triple digits and stay there for weeks, due to that occasionally it is so hot the locals avoid the park and you can find a nice low crowd day but honestly those are hard to predicted. Spring Break is considered the week before and after Easter. Disney will do fireworks usually nightly, though sometimes they only do the week before Easter. Fall Break, this is something new to me, as when I went to school there was no such thing, but in all of October, between the Halloween Parties (click on link to find out more about those) and schools having fall break, October is a very busy time. Though please note even though it can be a very busy time, there are only fireworks on the weekends, which are consider Friday, Saturday, and Sunday. Any dates not listed above is consider so-so times to go, not empty but not crowded, there are some rides that get schedule for maintained, fireworks are still schedule only for the weekends. Overall, it’s the middle ground of seeing Disney, some consider that the best, because they get more rides open, but it is still not CRAZY busy. It is a personal choice of course. Disneyland Resort (DLR) is made up of 2 them parks, 3 Disney owned hotels (soon to be 4), and Downtown Disney. Everything that is officially part of Disneyland Resort is consider within walking distance. See the map above to show you an aerial view of the Resort. On average, it takes 3 to 4 days for a family to be able to enjoy all the attractions at both parks. Most family spend 2 days at Disneyland and 1 day at California Adventure Park. Some feel it is essential to park hop as the parks are close to each others, other find that it was a waste of $50 per person (what the current price for park hopping is). For first timers that are going for several days, I often tell them, you can leave off the park hopper for now and always add it later to your tickets if you feel you want the feature. Disneyland Resort Hotels-There are 3 hotels Grand California Hotel & Spa, Disneyland Hotel and Disney Paradise Pier Hotel. 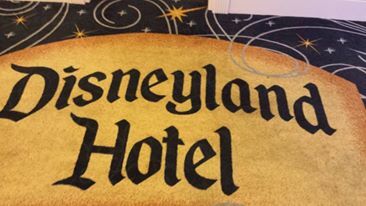 Staying at one of these three hotels have many perks including amazing Disneyland service, Extra Magic Hours, yummy character dining options, and package delivery from the parks to your hotel. (so you don't have to carry those packages around!) And Grand California Hotel & Spa has its own private entrance to Disney California Adventure Park. These hotels are consider Deluxe, or 4 star hotels and the price to stay at them is very high end. Click here to learn more about these hotels. Off-Site Hotels- Off-site options are typically much less expensive than Disneyland Resort Hotels. Some are just as close to Disneyland entrances as the Disneyland Hotel or Disney Paradise Pier Hotel, and the hotels are more budget friendly. To learn all about the different hotel options, please click here. Still overwhelmed with which hotel choice to choose from, I can help you out. Fill out my easy to use quote form, (you have to be in the US sorry for those not in the US) and I will be happy to put together a package for you. I work with Disney directly to get the best packages for my clients. My prices will never be more than their price is and sometimes I have special extras that Disney doesn't even offer. To learn more about why you should use my services, please click here. Disneyland Resort has over 30 restaurants to choose from while staying at the resort, click here to view all of them. You can book your dining choices 60 days in advance of when you wish to travel. To book a reservation, you can do it online or call 714-781-DINE(3463). Please note that Disney ask for a credit card to hold the reservations. There are so many great choices. The most popular dining spot at Disneyland is the Blue Bayou Restaurant because it is located inside Pirates of the Caribbean ride. At Disney California Adventure Park Carthay Circle Restaurant is consider the top spot to dine. (I certainly love to get The Carthay Circle Manhattan). Please note that alcohol is not served inside Disneyland park (unless you are part of Club 33) but is served at other locations. At Disney California Hotel and Spa a very romantic spot to dining is the Napa Rose. (it is rumored that the chef that caters Club 33 also oversees Napa Rose). At the Disneyland Hotel Steak House 55 is the signature restaurant. Club 33-is a private club that cost thousands of dollars to join, and has a LONG waiting list to join, and what you get is to eat at this exclusive restaurant which is discreetly located above Cafe Orleans and The French Market restaurants in New Orleans Square. You have to know someone that is a member to get invited. NO I am not a member. There are many dining options, Disney is really great at catering to those with food allergies, its always nice to give them ahead up when make your reservations if you have any food issues. Dining on a budget tip: Disney allows you to bring in FOOD from outside the parks, you are allowed to bring in soft side cooler (NO loose ice is permitted in the cooler, only cooling packs) also no glass, alcohol or knives are permitted but you may bring in outside food, perhaps being able to bring in lunch or snacks and save money that way. 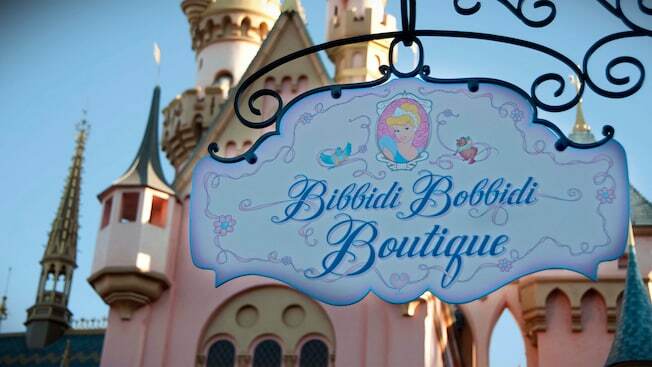 The most popular extras beside Dining packages which you can read about above, is for little girls ages 3-12 and a visit to Bibbidi Bobbidi Boutique at Disneyland. They also have boy packages but they aren't as popular. For older clients, Disney offers several tours, check them out here. During the fall season, Disneyland also has special night time Halloween Parties, to learn more about this event, click here. Disney California Hotel & Spa is a full spa and does offer Spa treatments, you can learn more about them by clicking here. There are random magic extras and of course when they are announce, I post them on Disneyland Planning Facebook group. If you haven't join it yet, I suggest you do. Make a plan or go with the flow? There are so many ways to go to Disneyland. Some people need a plan. I am honestly a more go with the flow type of person. But I provide my clients that book vacations with me, a great excel sheet that helps them to customize their vacation for their families. (My prices are the same as booking with Disney. If you would like a free quote, please click here.) Even though I am not providing a detail tour here, and the reason is because I honestly feel that every family would need their own. Also, the ones that are posted on other sites...let me tell you I have followed them and so it seems does EVERYONE else, talk about crowded! But I will give you all a few tips on how to make your own plan. Check out Disney website and look over all the attractions. Note which ones have FastPass options and which ones have height requirements. Start early-The earlier in the day the less crowded the park is. Its a given. Disney sometimes lets you partly in 30 minutes before the park offical opens and you can line up and start planning even more. Use FastPass system. Disney now has the MaxPass, which allows you to select FastPass from your phone, it cost extra. Check out our FastPass for more information. Relax! Its supposed to be a vacation. Things will probably go wrong, kids if they are with you will have a melt down. But, overall hopefully you will make amazing memories. And the last tip I am going to post here that is a BIG money saver for many. Disney allows you to bring in a cooler the size of 6 pack, inside the cooler or outside the cooler you are allowed to bring in your own food and drinks. Just no glass, knives or alcohol. Disneyland is a different kettle of fish from Walt Disney World. Yes they have some things in common but deep down they are as different as apples and oranges. Here are some common questions I have come across when a family is booking Disneyland for the first time instead of Walt Disney World. Booking dining - Most WDW pros know the 180+10 rule about booking dining and they are up at 5:45 am EST the day they can book dining hoping to get that premium dining option, or to get dining at ALL when you can start booking at 6:00 am EST. Disneyland does not have 180+10 rule, they have a simple 60 days in advance rule, and except for holiday times or the hopeful first dining slot, you usually don't have to be up at 6:45 am PST exactly 60 days in advance to get your dining choice, though Dining time for Disneyland opens at 7 am PST if you want to be the first one to call. FastPass+ - There is no scheduling FastPass 60 days in advance, or 30 days. At Disneyland they have machines near rides where you can get return times, and this feature is free. Or they have MaxPass which cost $10 per person per day. MaxPass allows you to book your FastPass from your phone, but you have to have your ticket activated ie be inside one of the parks. With MaxPass you are allowed to only select 1 attraction at a time (in either park), but if the attraction you selected is more than 90 minutes away, you may selected a second FastPass at the 90 minute mark. The app of course tells you this. I kind of feel that its like selecting that 4th FastPass at WDW. Its all done from your phone, and has many of the same properties except for when you select a FastPass choice that is more than 90 minutes away. Learn more about FP. No Bus - Everything is within walking distance (except for some of the good neighbor hotels). Rides - Rides at Disneyland and WDW are different even if they have the same name, they are different. Some are not MAJORLY different, just the ques are different and some are very DIFFERENT. Here is a blog posting in 2018 reviewing every ride at Disneyland and California Adventures, and comparing them to any ride that might be like it at Walt Disney World. If you would like guidance and free quote for booking your Disneyland or Walt Disney World Vacation, please consider booking with RMH Travel. We help you as much or as little as you want when you book with us. And booking with us is JUST like booking with Disney because we book your trip thru the Disney web site. You will get an email from DISNEY, and all the same things you get when you book with Disney....but you also get someone that can help remind you or even book some of the things you need to book for your trip. Want to learn more about why book with us, click here. all images on this website are owned by their prescriptive products, ie: all Disney images are the property of the Disney Company, All Princess Cruise images are property of Princess Cruise line, etc. Exceptions are family photos on the Disney Family Page.